Phenomenal and loud colored!! You will wear out a pickup truck trying to find another one like this handsome fella! Razoo has been there, done that, and enjoys his life. 15 hh makes him easy to get on, and big enough for a full job. Push botton, super comfy, easy attitude and nothing bothers him! 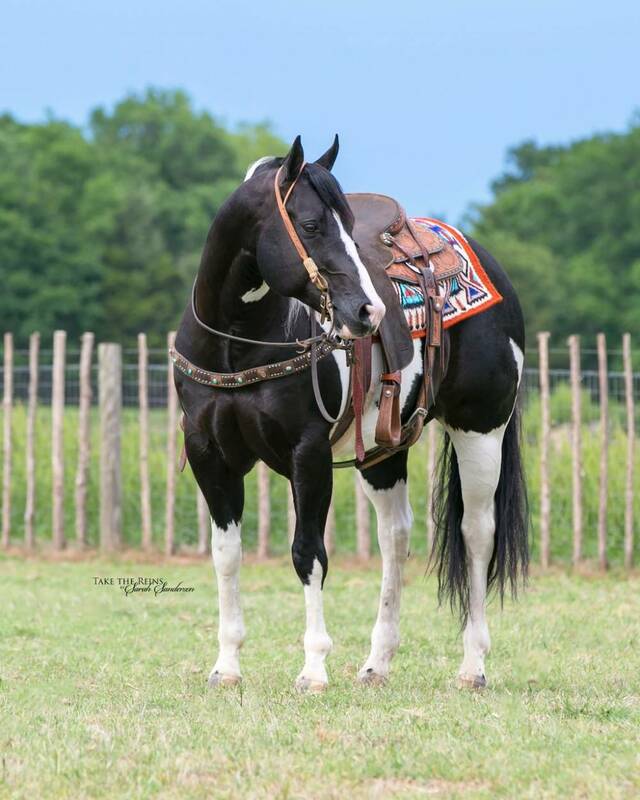 Razoo is a NRHA reining money earner and has a huge record in the American Paint Horse Association. 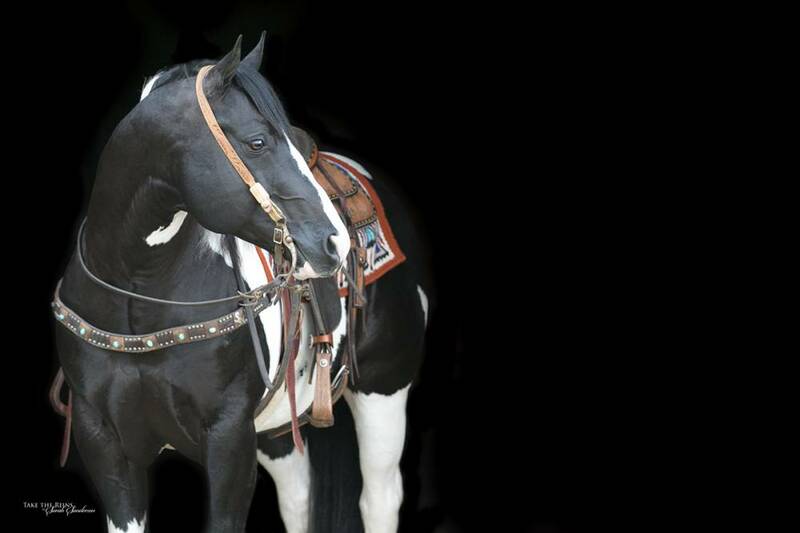 He has 71 points and ROM, 41 in Reining, 26 in Halter and Color, and 4 in the Ranch Riding. Fun, Fun, Fun gelding to go do anything you can do horseback on. 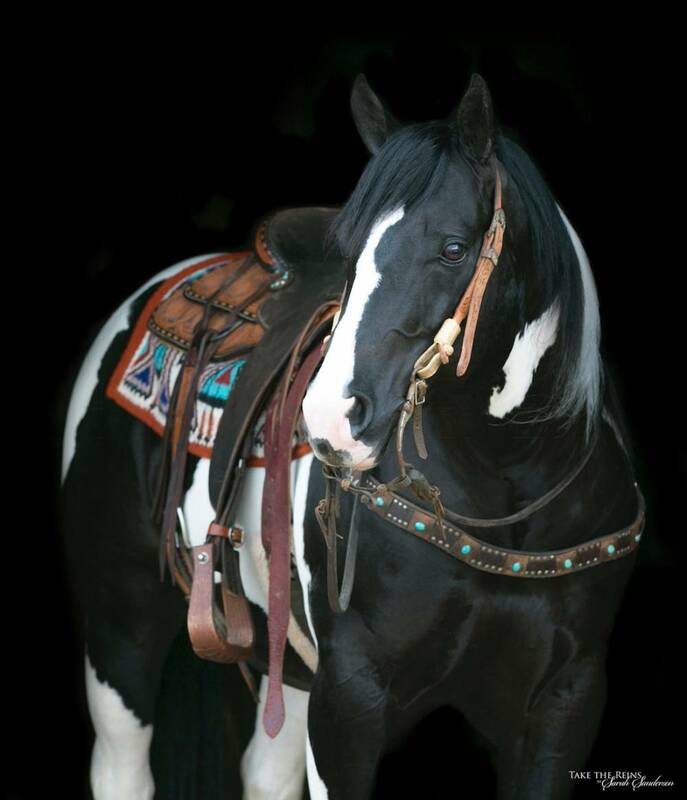 He has been trailridden extensively and even has been ridden in several parades. Razoo has been roped and ranched on too! Kind, honest and stays extremely gentle. 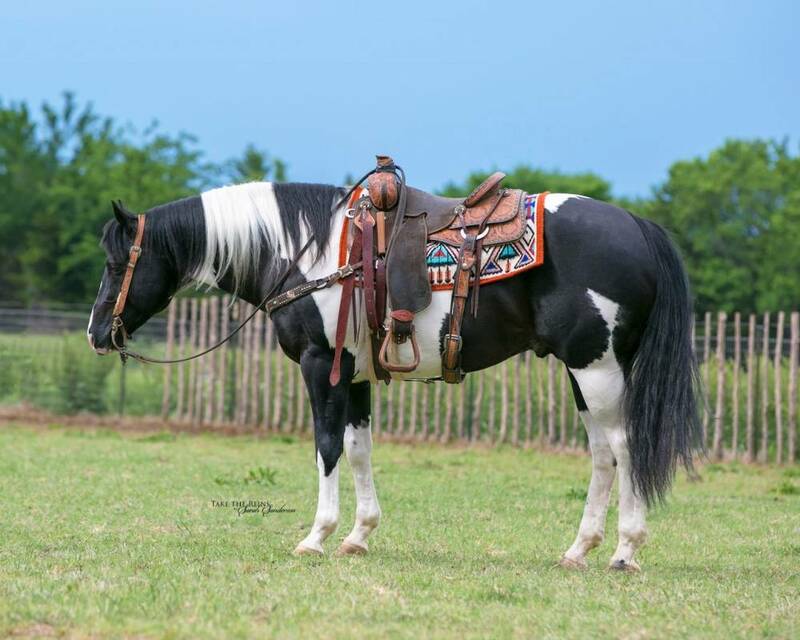 He’s an incredibly special gelding that anyone will enjoy.